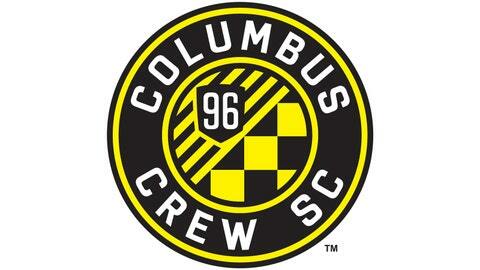 Columbus revealed its new brand identity and its new badge (pictured) on Wednesday night. Columbus investor/operator Anthony Precourt promised a new look for the club after taking control of the club last July. It took a bit of time, but the Crew revealed its new identity to local supporters on Wednesday night. The core principles of the club — the black and gold color scheme and the Crew nickname — remained in place, but the visual identity received a significant overhaul. The alterations included a new badge (a circular representation of the club and the city instead of the three construction workers) and the addition of SC at the end of the name. Precourt said the efforts reflected the club’s desire to represent the city of Columbus and its own heritage in a fashion designed to take the team into the future. "We are extremely proud of our new brand direction and visual identity," Precourt said in a statement. "Our new badge and word-mark truly reflect who we are as a club, from our origins and historical accomplishments to our connection with Columbus and our unique fan culture. It’s a timeless design and a strong statement for our brand." The club will retain its current logo and uniforms through the end of this season before transitioning to the revamped identity next year.